I really enjoy Twin Beech’s. They are just a really cool aircraft that has had a long operational history. It saw action during and after WWII, was used as a passenger air liner and later saw use in many different roles including aerial spraying. Developed by Beech Aircraft Corporation in Wichita, KS over 9,000 of these planes were built. THe US army Air Force and Navy used these planes extensively for a variety of roles. They could 6-11 passengers and could be modified for various roles. Construction ended in 1970 of the model 18. 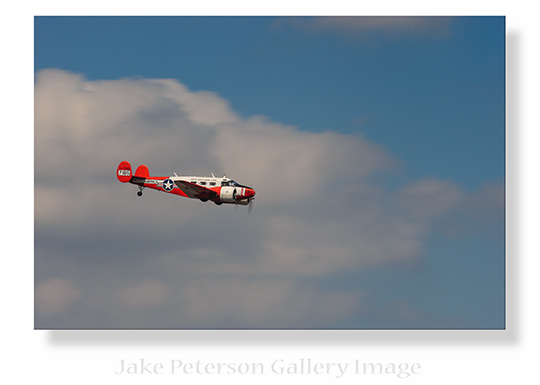 Many Twin Beech’s survive today and can be seen at most airshows. This particular one is a favorite of mine as it it is painted in US Marine colors and truly stands out.